Martha Friedman, a Brooklyn-based artist originally from Detroit, is interested in locating the point at which common objects slip into abstraction and, in some instances, eroticism. In her series of cast rubber sculptures titled Rubbers—in her double-entendre style—she explores the nature of sculptural and bodily materiality through food as well as the rubber band. Here I’ve included only the rubber bands which are my favorites. From the colorful chromogenic prints of the oversized stationery supply, to her full room installations, these are just a lot of fun. 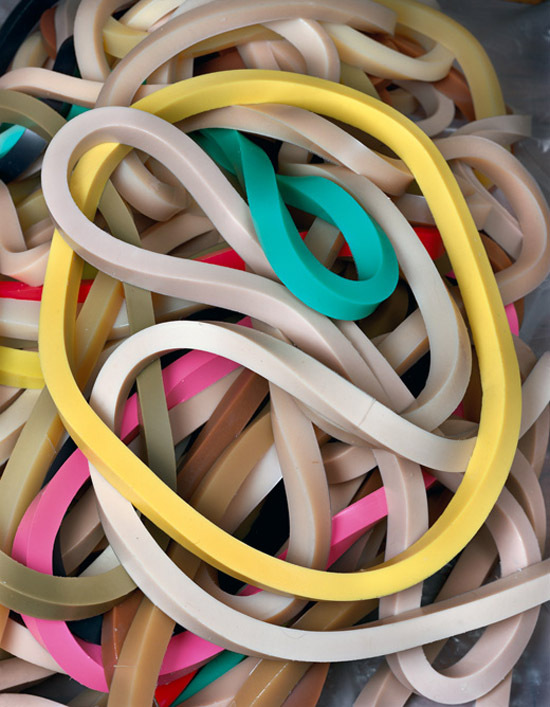 Wouldn’t it be great to have a pair of those interconnected rubber bands extended from floor to ceiling in your home? 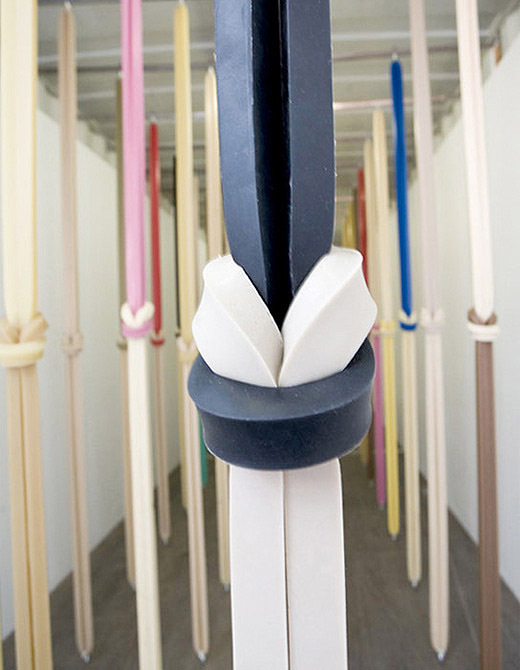 You can see Martha Friedman’s rubber tongues here, and some of here waffle sculptures here. Photos: James Ewing; Andy Pixel; Purple Kiaris and Wallspace Gallery. Simple and uninteresting I hope she didnt take too much grant money away from talented artists! Sometimes the simplest ideas can be the most clever. It’s all subjective and you are entitled to your opinion.